Categories: Spice Set Gift Boxes, Spices, Blends, Rubs & Mixes, Salt Free, BBQ Rubs & Seasonings, Beef, Chicken & Fowl, Fish & Seafood, Pork, Vegetables, Salt Free, Chile Peppers, Pepper & Pepper Blends, Pepper Blends, Salts, Smoked Salts. 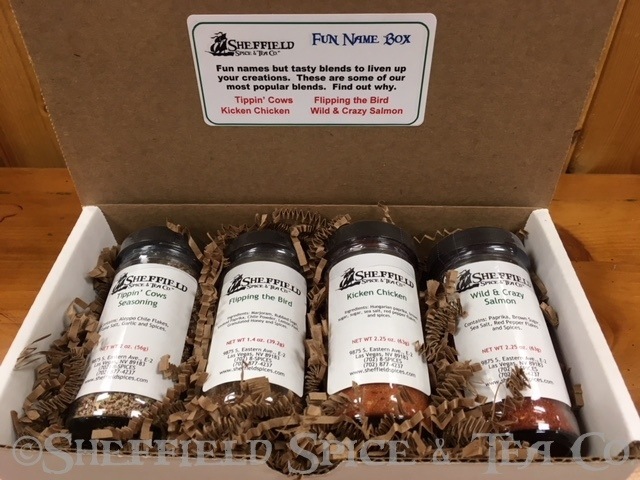 Our Spice Set Gift Boxes are perfect for gift giving all year long. Whether you’re giving one for a special occasion, like a birthday, anniversary, house warming, or just because, we have a varied selection, each containing some of our most popular spice blends. They are sure to please everyone from a new cook to a top chef. 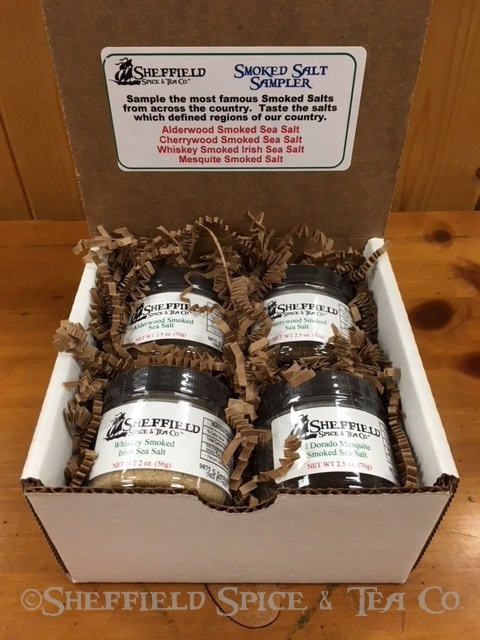 Here are the gift sets we currently have. Enjoy your favorite BBQ with our most popular BBQ Rubs. They add fantastic flavor to your Pork, Chicken, Beef, Fish or anything you BBQ or grill. 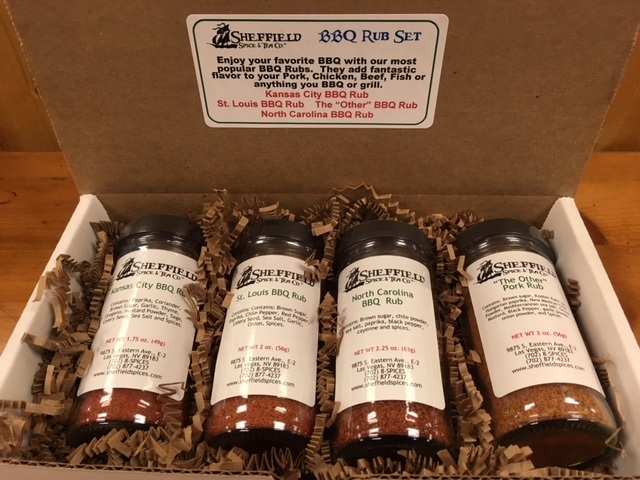 This set contains our North Carolina BBQ Rub, Kansas City BBQ Rub, St. Louis BBQ Rub and The “Other” BBQ Rub. 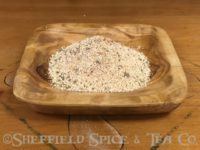 4 of our most popular chicken seasonings. 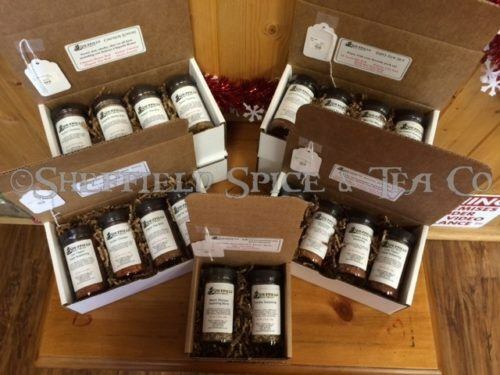 A variety of Sweet, Hot, & Smokey blends including our famous Chipotle Honey. Here is what you’ll find. 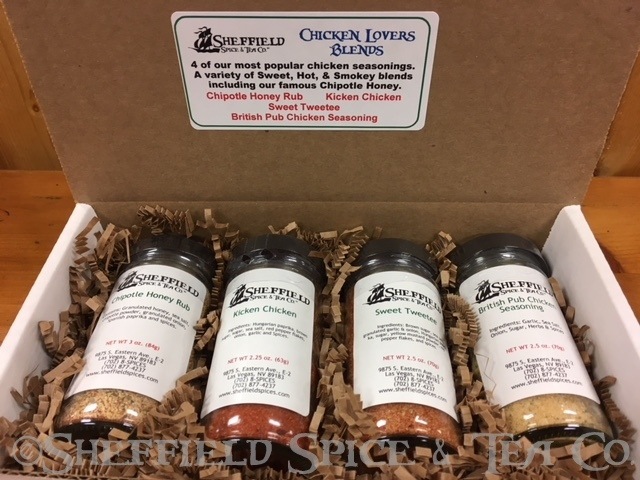 Chipotle Honey Rub, Kicken Chicken, Sweet Tweetee and British Pub Chicken Seasoning. I say, Guv’nor… Looking for a spot-on gift for the cook with tastes are on both sides of the Channel? Look no further, mate. Here are two of our most popular blends for chicken, fish, veggies, potatoes, and so much more. You’ll get our British Pub Chicken Seasoning and Parisian Café. 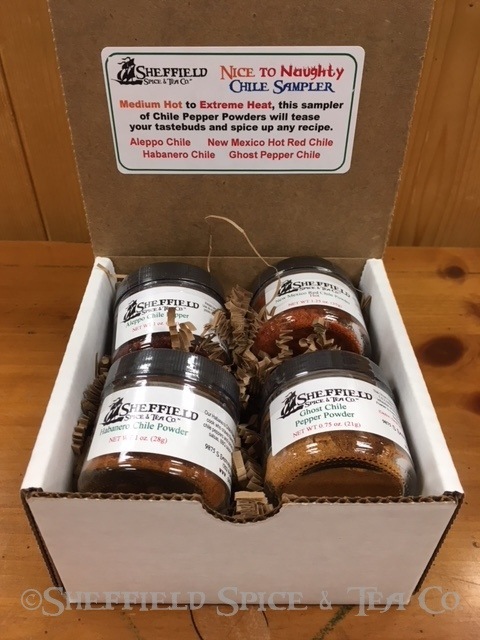 From Very Hot to Fiery Hot, this sampler of Hot Chile Pepper Powders is sure to please any Chilehead. Take a look at what we include in this set. Jalapeno Chile, Habanero Chile, Ghost Pepper Chile and Carolina Reaper Chile. Fun names but tasty blends to liven up your creations. These are some of our most popular blends. Find out why. Here’s what we have in this set. Tippin’ Cows Steak Seasoning, Flipping the Bird, Kicken Chicken and Wild & Crazy Salmon. 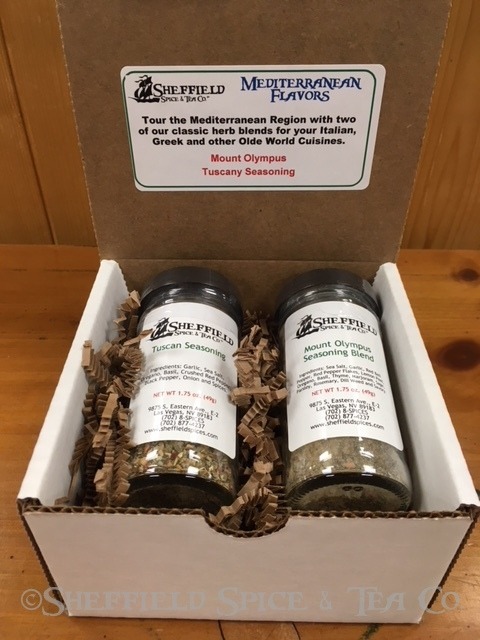 Tour the Mediterranean Region with two of our classic herb blends for your Italian, Greek and other Olde World Cuisines. 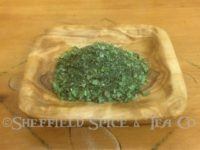 They are our Mount Olympus Seasoning Blend and Tuscan Seasoning. 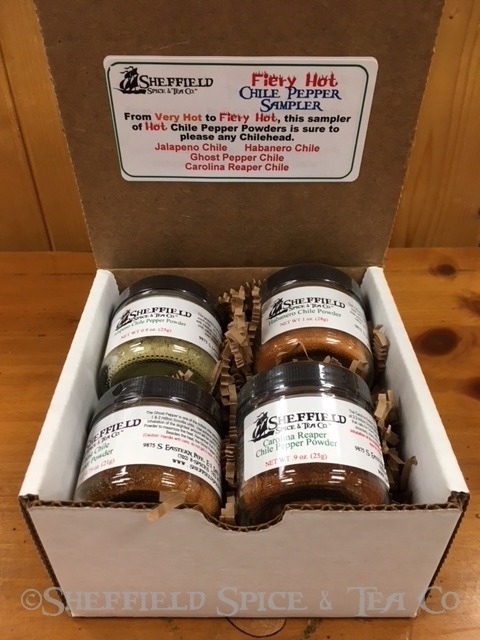 Not as hot as our Firey Hot gift set, our Nice to Naughty Chile Gift set, but the spiciness in this set goes from Medium Hot to Extreme Heat. 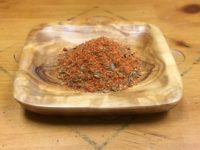 This sampler of Chile Pepper Powders will tease your tastebuds and spice up any recipe. It contains Aleppo Chile Flakes, New Mexico Hot Red Chile Powder, Habanero Chile Powder and Ghost Pepper Chile Powder. Who said No-Salt means No-Flavor? Not us. We crafted these tasty blends to add incredible flavor to all your foods & recipes. 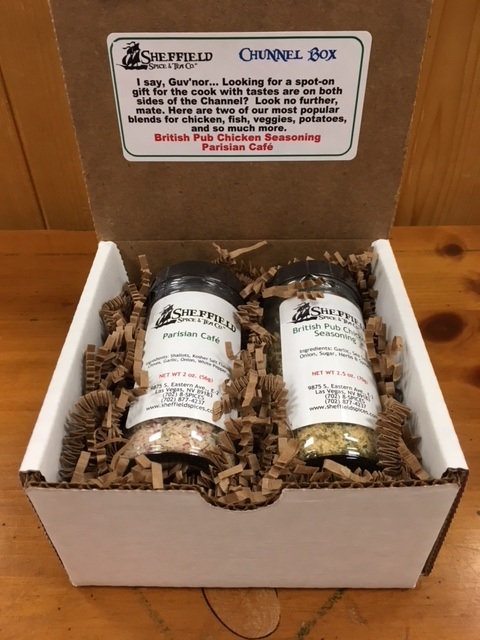 In this set, you will get our Herb Garlic Pepper Seasoning, Flipping the Bird, Garlic Rapture – No Salt and Lemon Pepper – No Salt Blend. Here’s a chance to sample 8 of our most popular blends to make all your recipes come alive. 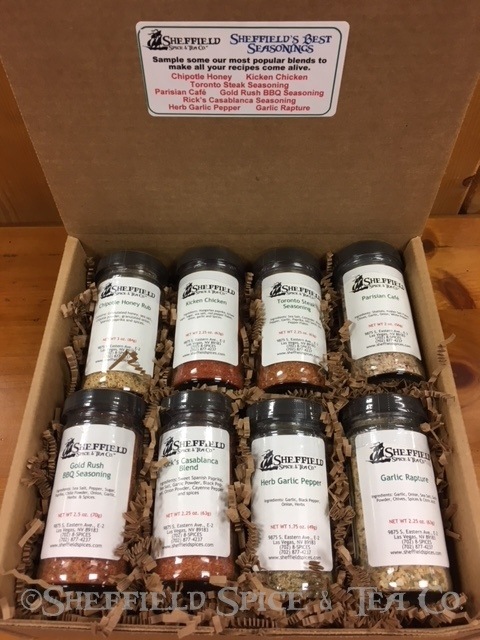 What this set contains is our Chipotle Honey Rub, Kicken’ Chicken Blend, Toronto Steak Seasoning, Parisian Café, Gold Rush BBQ Seasoning, Rick’s Casablanca Seasoning, Herb Garlic Pepper Seasoning and Garlic Rapture. 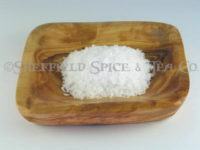 Sample the most famous Smoked Salts from across the country and from Ireland. Taste the salts which defined regions. 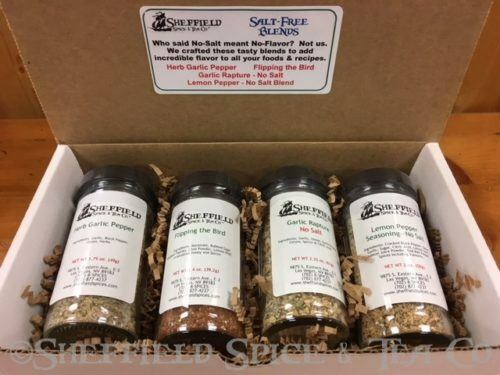 In this set, we’ve included our Alderwood Smoked Sea Salt, Cherrywood Smoked Sea Salt, Hickory Smoked Sea Salt and Whiskey Smoked Irish Sea Salt. 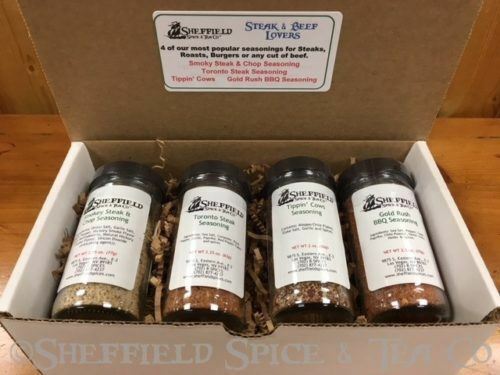 4 of our most popular seasonings for Steaks, Roasts, Burgers or any cut of beef. 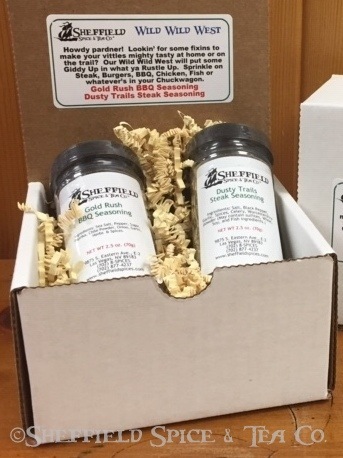 You’ll find our Smoky Steak & Chop Seasoning, Toronto Steak Seasoning, Tippin’ Cows Steak Seasoning and Gold Rush BBQ Seasoning. Let your taste buds explore the world with some of the most exquisite blends, hand-crafted for your pleasure. 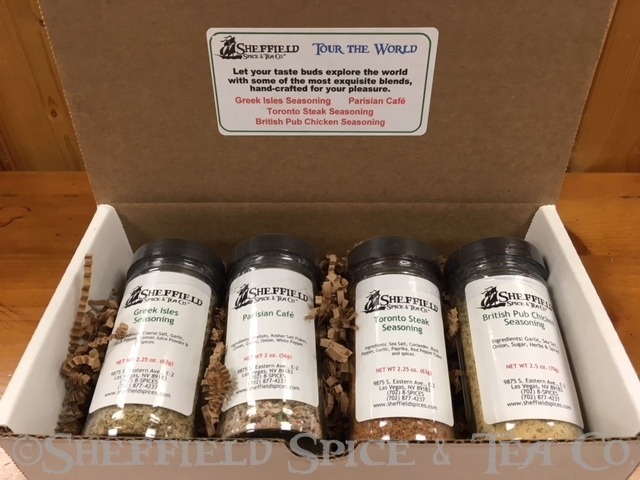 With this gift set, you get our Greek Isles Seasoning, Parisian Café, Toronto Steak Seasoning and British Pub Chicken Seasoning. We crafted these great spice blends to compliment your vegetarian and vegan recipes. Great flavors from some our best-selling blends. 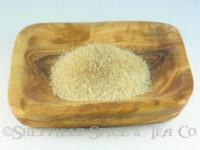 They are very popular with non-vegetarian recipes as well. 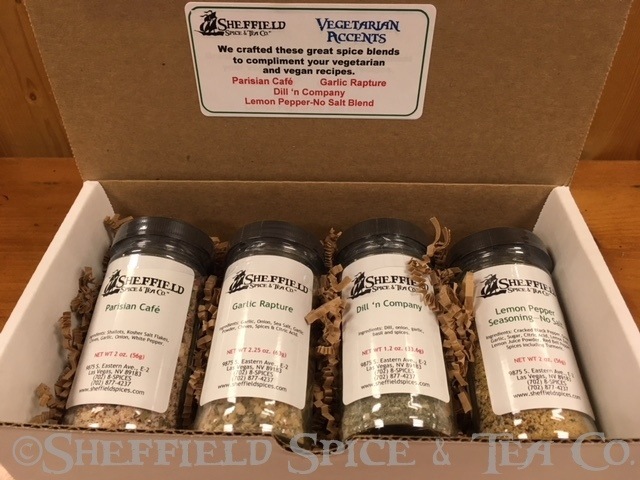 We’ve included in this set our Parisian Café, Garlic Rapture, Dill ‘n Company and Lemon Pepper-No Salt Blend. Howdy there pardner! 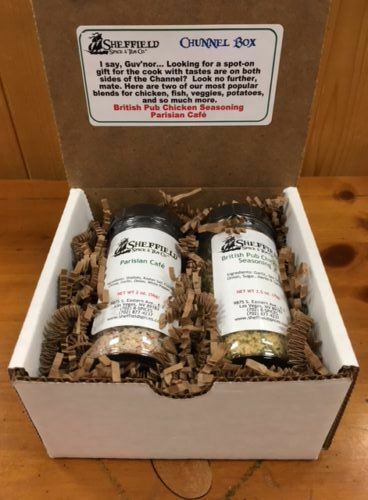 Lookin’ for some fixins to make your vittles mighty tasty whether at home or on the trail? Then stop right there. Our Wild Wild West seasonings will put some Giddy Up in what ya Rustle Up. Sprinkle some on your Steak, Burgers, BBQ, Chicken, Fish or whatever’s in your chuckwagon. With this set, we’ve included our Gold Rush BBQ Rub and Dusty Trails Steak Seasoning.